In 1992 Lyn Hughes and her late husband, Paul Morrison, were bored on a flight to South America and so schemed out their dream travel magazine on the back of a sickbag. The idea stuck and, returning to the UK a few months later, they launched Wanderlust magazine from their spare bedroom, with Lyn as editor and Paul as publisher. The magazine gradually grew through word of mouth, and went on to be one of the UK’s leading travel magazines, with numerous awards under its belt. In time it led to this website and to all the other things we do at Wanderlust Travel Media. After a long fight with cancer, Paul Morrison died in December 2004. In 2007 and 2008, Lyn was Highly Commended as Publisher of the Year. The Times lauded Lyn as one of the “50 Most Influential People in Travel.” In 2012, Lyn was presented by an Outstanding Contribution Award in the British Travel Press Awards. In 2014, Lyn was awarded one of the 'Top 60 Most Influential Women in Travel in the Last 60 Years' by the AWTE. She regularly appears on lists of Top UK Travel Journalists / Influencers. A fellow of the Royal Geographical Society, Lyn is still an award-winning writer in her own right. She is regularly consulted by tourist boards and governments on travel-related issues, especially regarding sustainable tourism. She sits on several committees, including the Latin American Travel Association (LATA). She judges many competitions and awards. Lyn strongly believes in tourism as a force for good, benefiting local communities, wildlife and the natural world. During the course of Lyn’s own travels she has been attacked in the night by soldier ants in Africa, spent the night in a sailor’s bar in the Azores, and been chased over a barbed-wire-topped 6ft-bank by an angry Irish bull. Her passions include wildlife, wilderness and wine. Her idea of hell would be a week on a crowded beach. Read through the archive of online articles by Lyn Hughes. Tilly is Managing Director of Wanderlust and co-owner and director of Think Publishing, Wanderlust’s parent company. With over 80 staff and offices in London, Glasgow and Windsor, Think creates magazines and content for 42 organisations. Tilly started her publishing career as a dogsbody at Amercan Vogue in Paris. She is the recipient of the Individual Achievement Award from the Professional Publishers Association (PPA). Tilly speaks fluent French and Italian and spends as much time as possible abroad. 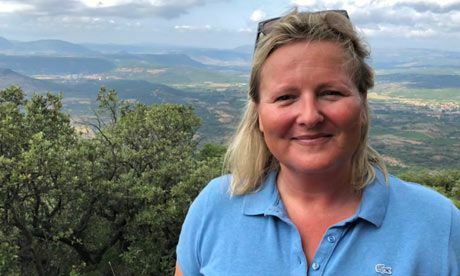 Tilly has lived in France and Italy for five years and took her children for a six month sabbatical to a village near Montpellier in 2013 where they went to the local school. Previously editor of Wanderlust's print offerings (Wanderlust magazine and various custom publishing titles), Phoebe is now Editor at Large across the brand. Phoebe first came to Wanderlust in 2012 by way of a number of magazines and newspapers both in the UK and overseas. She is most at home in the world’s high places – from teetering on Iceland’s glaciers, seeking out the highest jebel (mountain) in Jordan, sleeping on the top of Telescope Peak in Death Valley, or scrambling in Snowdonia. When not testing out gear or on assignment for Wanderlust, she's busy writing books on the great outdoors and wild camping, giving talks, and appearing on TV and radio. Peter is an Australian travel author with several humorous books of his travels under his belt. Now based in the UK, Peter works part-time at Wanderlust where he is responsible for some of the regular spots on the website. Tom joined Wanderlust in 2011 after a career spent in consumer, lifestyle and contract titles, working in both an editorial and production capacity. As Managing Editor, he's in charge of making sure Wanderlust magazine and its sister titles go to press on time, which involves a lot of moaning at people who file late copy and double-checking things are splet correctly. When out and about, Tom has a soft spot for tracking down movie locations. His favourite? The Star Wars set in Tunisia... His wife wasn't impressed. Read through Tom's archive of online articles. After graduating with a degree in Graphic Communication in 1998, Graham's career so far has seen him design both consumer and contract magazines spanning music, fashion, lifestyle, technology and travel. Graham joined Wanderlust in 2003 and as Art Director heads up the design team; he is responsible for the design and layout of Wanderlust magazine as well as Wanderlust’s sister magazines, contract titles, books and supplements. In December 2011, Graham was awarded Designer of the Year in the Independent Publishing Awards. Mike joined Wanderlust in March 2011 having spent the past 18 years freelancing across consumer, business and contract publishing. Hailing originally from Cheshire he studied Typography and Graphic Communication for four years at Reading University before moving to London to kick-start his career in design. Out of the office you'll either find him on a sunny mountain top strapped to a pair of skis or blasting through choppy waves windsurfing. Heading up the web team, Simon is responsible for the continued strategic growth of the Wanderlust website, Trip Finder and other websites such as our Unique Honeymoons website, Wanderlust's trade site and Adventure Travel Conference. When he hasn't got his head in the nuts and bolts of coding or web design, he's a travel nut enjoying bear watching in Alaska, and trips to Sudan, Laos, Malaysia, and a 3-month trip around Argentina, Chile and Bolivia. Once unemployed and on the streets in Romania, Zoe came to the UK to look for a meaningful job. Her role includes keeping the Wanderlust team exercised, keeping the office tidy (through bin inspections and hoovering up any food), and reducing stress by encouraging strokes and cuddles.